Natural marble with polished accents. 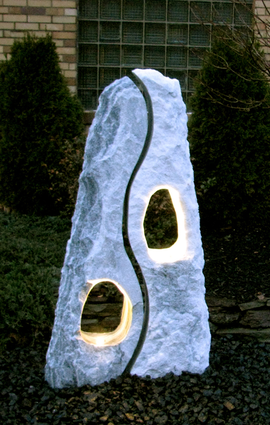 Bring harmony and balance to any backyard setting. Even more beautiful when lit.